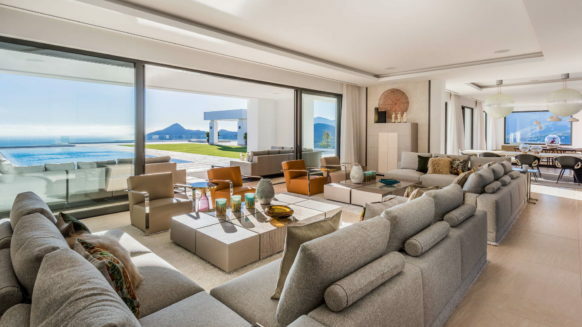 This Realista La Zagaleta guide offers a general overview of one of the most luxurious developments on the Costa del Sol and indeed, Spain. As well as providing information about its geographical location and a snapshot of the development’s history, this La Zagaleta guide also includes facts about the sort of property available. 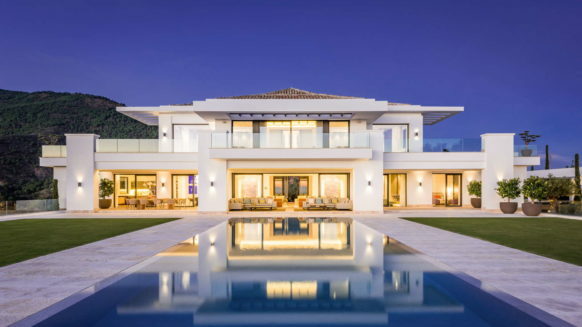 When it comes to luxury properties on the Costa del Sol, La Zagaleta ranks second to none. 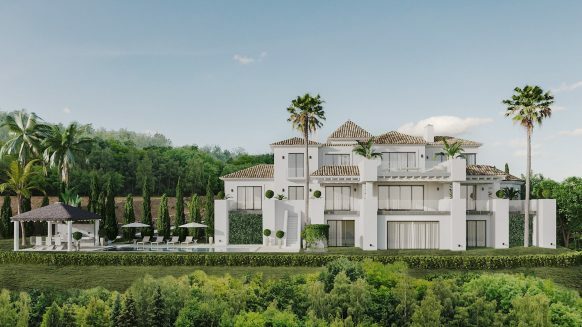 This highly exclusive development, situated on the road to Ronda and about 13km from Marbella, is home to multi-million euro homes, owned by the world’s rich and famous. La Zagaleta sits on its own foothill and enjoys 900 hectares of totally private land carpeted in acres of unspoilt Mediterranean forest made up of pine trees, cork oaks, myrtle and gorse. 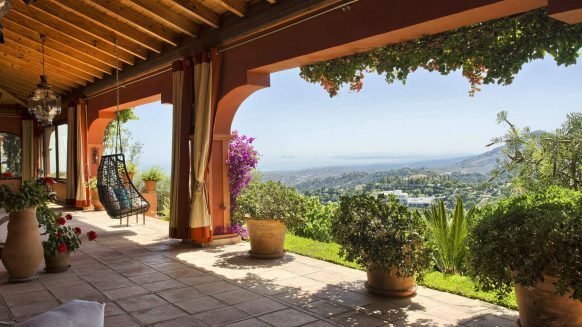 All vantage points on the estate enjoy sweeping views of the Mediterranean, Gibraltar and the Rif Mountains in Morocco to the south as well as the dramatic backdrop of the Sierra de las Nieves mountain range to the north. Despite its authentic country setting, La Zagaleta is just a short drive from the glitz and glamour of Marbella and Puerto Banús. This natural paradise was originally earmarked by the notorious arms dealer, Adnan Khashoggi who used it for a while as his own private hunting ground. In the late 1980s, he lost the estate in bankruptcy proceedings and La Zagaleta became the retreat of the world’s richest millionaires, drawn to the estate’s absolute privacy. Tight security measures abound – entry and exit is exclusively via two guarded gates – and round-the-clock surveillance teams operate. Onsite amenities are world-class and for the exclusive use of residents and their guests. They include two golf courses (both 18-hole), a clubhouse – once Khashoggi’s hunting lodge, an equestrian centre with 23 stables and heliport. Originally planned to include several thousand villas, La Zagaleta now has plots for considerably fewer. There are currently under 250 occupied plots with room for a further 170. This smaller planning footprint allows each property to enjoy maximum privacy in unspoilt natural surroundings. Luxury at its highest end underlines all La Zagaleta properties, better described as mansions or palaces. In keeping with the estate’s aesthetics, villas at La Zagaleta are designed and built in traditional Andalusian style. Living is exceptionally spacious – plots start at 4,000 square metres and build sizes come in at a minimum of 600 square metres. The manicured gardens house infinity pools and additional indoor pools are not an uncommon feature. State-of-the-art technology characterises all homes where the latest domotics come as standard. Staff accommodation plus parking for several cars are also part and parcel of villa living at La Zagaleta. The estate bills itself as one of Europe’s finest residential and golfing estates. 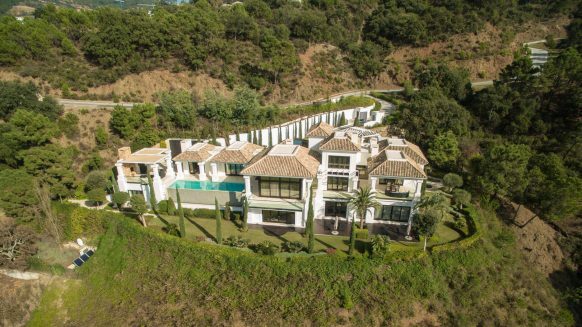 This together with its privileged position in the midst of pristine nature yet minutes from the heart of the Costa del Sol makes La Zagaleta one of the most highly sought-after residential addresses in Marbella. Property prices start as several million euros and rise well beyond that for the majority of homes.